Manchester City have climbed up to fame in the recent years, after heavy investments from the Arab owners City Football Group, spending over £500 million pounds net on their squad since 2008; threatening the likes of Manchester United, Real Madrid and Barcelona in the money leagues. They have attracted big names such as Yaya Toure, David Silva, Sergio Aguero, Raheem Sterling, the list can go on for ages. They certainly aren’t afraid of breaking the bank for players; something we all witnessed when they signed Kevin De Bruyne for around £50 million as well as Raheem Sterling for around the same price. City Football Group’s heavy funding has not gone without results. Manchester City currently hold the 2011-12 and 2013-14 Premier League titles as well as the 2010-11 FA Cup and the 2013-14 & 2015-16 League Cups. 5 trophies in under 10 years for the heavy spending club isn’t a bad return for their investments, but we would expect more after their transfer sprees. City are currently trailing behind Leicester in the race for their 2015-16 Premier League Title. They haven’t had the best of seasons so far after a few surprising defeats, although they have managed to maintain a solid run of form which should be enough to cement them a place for qualification into next year’s UEFA Champions League. City haven’t had much success in European football since their takeover, getting their first taste of Champions League in 2011-12 after finishing 3rd in the Premier League which qualified them to play in the UEFA Champions League. They finished third in their group, which sent them to the Europa League, where they didn’t get past the round of 16. City attained the Premier League title in the 2011-12 season which enabled them to participate in the 2012-13 Champions League Season. City finished bottom in their group as they crashed out of the competition. The next season saw City reach the round of 16, only to meet Spanish giants Barcelona who beat them 4-1 on aggregate. City also met Barcelona in the round of 16 last season, a tie in which they couldn’t beat their opponents and lost 3-1 on aggregate. This season, City have managed to get to the round of 16 and face Dynamo Kyiv, whom they have already defeated 3-1 in the first leg of the round of 16 tie. City and Arsenal are currently the only English teams left in the Champions League, with Arsenal already losing 2-0 at home to Barcelona in the first leg of the round of 16. The other English giants who qualified for this season’s Champions League have disappointed tremendously. Chelsea had an extremely rocky start to the season, which saw them sitting 10th in the Premier League and knocked out of the Champions League by French champions Paris Saint Germain. They certainly haven’t carried the pride of English football well. It has only been 3 years since their last Champions League triumph, when they managed to beat Bayern Munich in their own back yard. Manchester United have faced a constant decline ever since the departure of legendary manager Sir Alex Ferguson. After David Moyes took the hot seat, he saw United finish 7th in the Premier League, which meant they would not qualify for the next season’s Champions League. However, David Moyes did manage to get United into the quarter finals of the Champions League that season, only to be knocked out by Bayern Munich. Following David Moyes’ departure, United appointed Louis van Gaal – who managed to get United back into the Champions League 2015-16 season after finishing 4th in the Premier League and going past the play-offs. Louis did not have much success with the Reds in the Champions League, which saw them finish 3rd in their relatively easy seeming group, which included the clubs PSV Eindhoven, Wolfsburg and CSKA Moscow. Following their third place finish in the Champions’ League group stages, United were forced into the Europa League Cup. So far, they’ve beaten FC Midtjylland in the round of 32, but are losing the first leg of the round of 16 to rivals Liverpool. It seems like English football clubs’ standards in Europe are dropping by the season. The last English club to lift the Champions League trophy was Chelsea FC in 2012. No other English team has come close to grabbing the trophy in the years gone by after Chelsea’s triumph. This year, Arsenal would need to overcome a 2 goal deficit to get past Barcelona, a feat that may be too much for Arsene Wenger. And with Manchester United and Chelsea having crashed out of this year’s race, Manchester City are the only team carrying the English pride this season, with an almost guaranteed place in the Quarter finals in this year’s competition. Which brings us to the debate of whether Manchester City’s rise up the ranks leaves them the only English team which poses a threat against other European teams in the years coming. Manchester United are still in a decline after the departure of Sir Alex, and Chelsea sitting 10th in the League means a Champions League qualification is unlikely for both clubs this year, leaving only Leicester City, Tottenham Hotspur, Arsenal and Manchester City in Champions League qualification places for the 2016-17 season. On paper, Manchester City are definitely the strongest English side present in the current UEFA Champions League qualification places. Only time will tell how far they will reach this season. But, in the hands of the incoming manager Pep Guardiola, City will be force to be reckoned with in Europe. 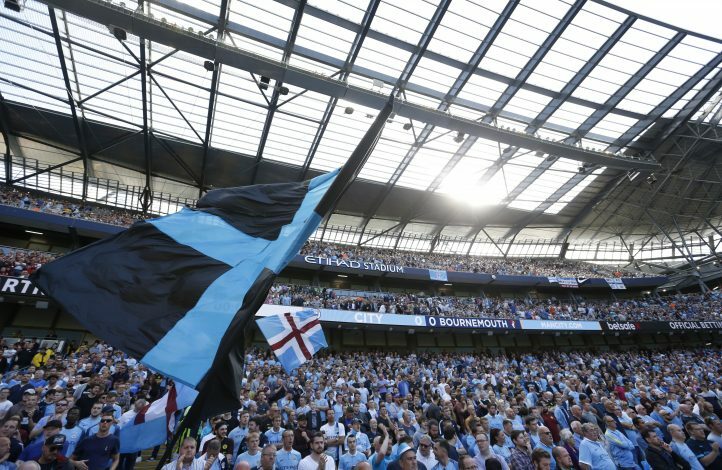 Do you think Manchester City is English football’s only hope? Let us know in the comment section below.